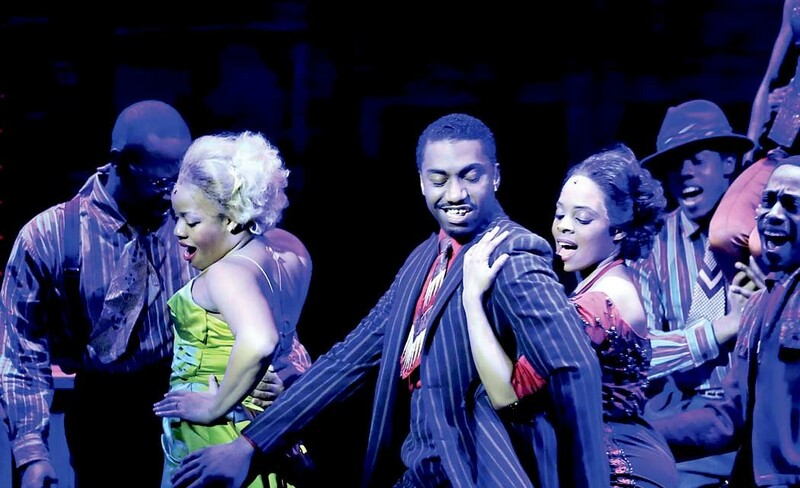 Music historians and lovers of 1950s-era sounds can turn up their radio dial, and tune in for a Broadway-style treat in Memphis the Musical, which is on stage April 7-12 at the Kravis Center for the Performing Arts in West Palm Beach. ends of the airwaves, and in the process ride waves filled with laughter, soaring emotion and roof-raising rock ‘n’ roll. Memphis tells the story of Huey Calhoun, a white radio DJ who loves music in a way that surpasses strict racial boundaries of the segregated South in the 1950s. In Memphis, Tennessee Huey meets Felicia Farrell, a black club singer who aspires for greater acclaim. Huey falls for Felicia, and vows to help her realize her dreams and get her music into the mainstream, even though there are no prospects in site, and despite the racism of the era. The show explores the underground dance clubs with explosive dancing, irresistible songs and a thrilling tale of fame and forbidden love.